Her nephew, the actor/producer/director, Griffin Dunne (After Hours, Practical Magic) spent several years filming and developing this portrait of his aunt, which began with $200,000 raised on Kick-starter and was completed with the assistance of Netflix. As a child, Griffin had a unique window on Didion because his father, Dominick Dunne, was a TV producer and brother of Didion’s husband, John Gregory Dunne, the author of Vegas and True Confessions. Griffin grew up witnessing Joan and John go from being struggling freelance writers to highly paid screenwriters (Panic in Needle Park, A Star is Born, Up Close and Personal) and the kind of beautiful people who could call Mick Jagger, Warren Beatty, Steven Spielberg and Barbara Streisand, to name a few, friends. This glamour was shadowed by the times they lived through and reported on. Dunne and Didion covered labour strife in California vineyards, the Manson murders, the rise of Reaganism, human rights abuses in El Salvador, the reality behind the Hollywood’s dream machine, racial conflict, and countless political campaigns. In her novel Play It as It Lays and the revelatory collection, The White Album, Didion laid bare the toll these events took on her psyche and marriage: Darkness eventually struck closer to home: they watched Dominick’s career collapse largely due to drugs and alcohol abuse and mourned when his daughter and their niece, Dominique (a promising actress who was in Poltergeist), was beaten to death by her boyfriend (In the wake of the trial, Dominick reinvented himself as a chronicler of true crime and high life folly for Vanity Fair). As Dunne and Didion’s adopted daughter, Quintana, grew older, they moved back to New York in the 90s. As in LA, the couple enjoyed a rich social life and a front seat to watch the movers and shakers rise and fall. Then Didion found herself alone. Dunne died in December 2003 of a sudden heart attack and Quintana died in August 2005 from complications due to pneumonia. Didion coped with the near crippling grief by writing. The Year of Magical Thinking focusing on Dunne, was followed by Blue Nights, which dealt with Quintana. 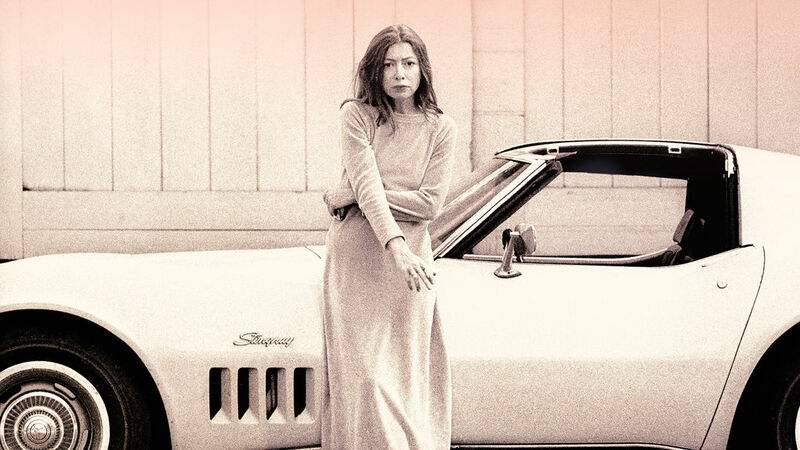 Both books revealed a different kind of Didion – not only capable of bringing her personal take to her times, but making sense out of her loss so that readers, especially those of an agnostic take on the after-life, would have a practical source of comfort. Griffin Dunne’s documentary benefits from an insider’s access to interviewees that include Harrison Ford, New Yorker writers Calvin Trillin and Hilton Als, Anna Wintour, book editor Shelley Wanger, playwright David Hare and Vanessa Redgrave. Didion fans like myself will note that two of her closest friends, Earl McGrath, gallery owner and former head of Rolling Stone records, Earl McGrath, and Jean Stein, the author of Edie and West of Eden, are not in the film. McGrath died in 2016 and Stein died in April of this year. The simple genius of this documentary is that the bulk of Didion’s life is recalled by Didion herself – now in her eighties – who despite her age and impossibly slim frame – possesses a mind and sensibility as sharp and perceptive as her prose. Few viewers of Griffin’s remarkable documentary, whether they have read Didion or not, will not be touched by his subject’s capacity not just to survive, but to create out of a void and bring meaning to life’s cruel twists of fate as well as its abundance of joy and hope.